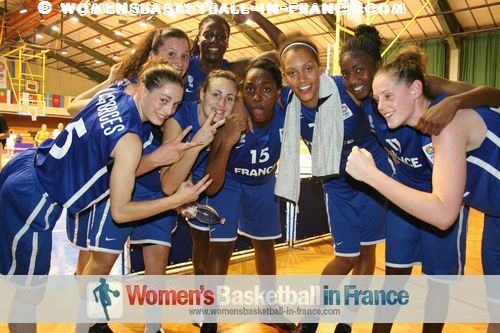 The FIBA Europe 2013 U20 European Championship for Women Division A runs from 4-14 July in Samson, Turkey. This is the first time that Turkey are hosting this competition. The Division B tournament is hosted by Bulgaria in Albena and for the moment on the same dates as the A competition. However with just nine teams taking part in a round-robin competition, it is possible like in 2012 that the tournament might start a couple of days after the A division. The competition format for Division B is simple: all nine teams are in one group. The final placings are determined on the win loss records. In the case of teams having identical records then the results of the matches between those teams are used to split them. The top three teams at the end win promotion to Division A. The Division A tournament follows the traditional 16-team format with four groups of four teams. At the end of the first phase the first three in each group move on the qualifying round and final placement phase. For the bottom four teams their competition format is identical to 2012 with three teams going down to and three teams coming up from Division B.
Spain are the back to back defending champions and are out to make it three wins in a row. They are drawn in Group B with Greece, Poland and the Slovak Republic. Missing out on a medal in the last two editions of this age group is a record for France. They should be looking to get back on the medal trail and start their quest in Group C with Hungary, Italy and Russia. 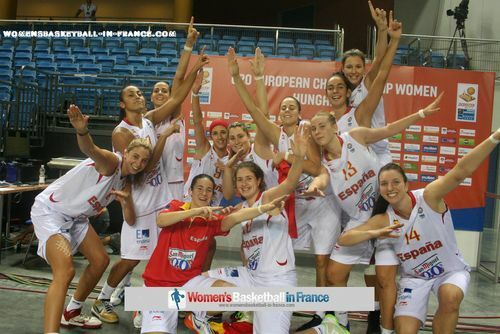 With EuroBasket Women finishing just before the U20 Championships and the U19 World Championship event immediately after, a number of top players may end up not participating at the U20 European Championships.